Built in Atladra, Vadodara, Narayan Aura is a residential development by Narayan Realty. The project is sufficed with all modern amenities and covers 2BHK and 3BHK apartments. Being close to all necessities, it has good connectivity to the rest of the city. The project is approved by Gujarat RERA. Where is Narayan Aura located? 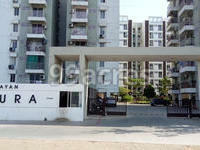 The project is located in Atladra, Vadodara. What is available flat size in Narayan Aura? Flat sizes in the project range from 1730.0 sqft to 2250.0 sqft. What is the 3 bedroom size in Narayan Aura?  The area of 3BHK units in the project varies from 1730.0 sqft to 1911.0 sqft. 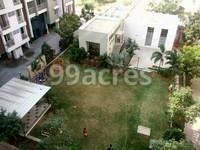 What is total area of 4 bhk in Narayan Aura? 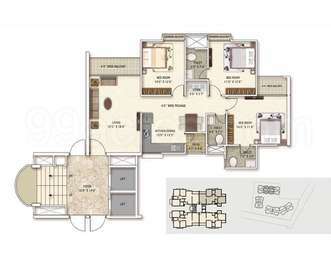 4 BHK units in the project are available in a size of 2100.0 sqft to 2250.0 sqft. How much is the actual area of Narayan Aura?The area of the project is 2.63 Acres. What is the 3 bedroom price in Narayan Aura? The project offers 3 BHK units within Rs. 3802540 to Rs. 4200378.
support from the customers, reliable stakeholders and a proficient team. @Nilesh...Yes it is worth. You will agree to it once you will make a visit and see by yourself the property.